Copper Tripeptide-1 has been shown to play a role in stimulating the production of collagen, aid in wound healing and tissue remodeling. It also has Antioxidant, Anti-Inflammatory, Anti Microbial and Anti-Tumor Effects. Copper Tripeptide-1 is naturally occurring in the body, it is composed of the amino acids Glycyl-histidyl-lysine, which spontaneously binds to copper, also known as GHK-CU. Copper Tripeptide-1 has many benefits within the human body, however levels decrease with age. Given the benefits that it has for renewing, repairing and protecting the skin, it makes sense that this would be used in cosmeceutical skin care products. Copper Tripeptide-1 is seen to play a role in accelerating wound healing and improved tissue remodeling. Studies done on diabetic wounds, showed that wounds healed up to three times faster and had a lower incidence of infection, in the presence of Copper Tripeptide-1. This is relevant to anti-aging, because as we age the levels of GHK-CU decrease, which can affect the ability for skin to repair and renew it’s self. Further more, many of the treatments used to improve skin appearance, take advantage of the skins wound healing ability to increase the production of collagen, elastin and hyaluronic acid. 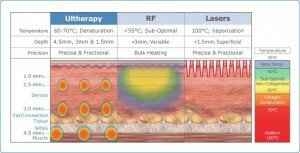 The more effective the skins wound healing ability is, the more effective the treatment may be. Radiation from sun exposure and cancer treatments have damaging effects on DNA and induce aging. Copper Tri-petide-1 (GHK-CU) helps to protect DNA from these damaging effects. Tumor cell lines died in the presence of Copper Tri-peptide, however healthy cell lines were protected. Skin fibroblasts, are “master cells” responsible for producing collagen, elastin and hyaluronic acid. Fibroblast exposed to radiation have been shown to restore their function when in the presence of (GHK-CU). Intrinsic antioxidants, are antioxidants that the body makes, they can not be obtained with diet. With age, the production of these intrinsic antioxidants declines. Some of these intrinsic antioxidants are induced by Copper Tripeptide-1. It also has anti-inflammatory and anti-microbial effects during wound healing and tissue remodeling stages. Topical products with Copper Tripeptide-1 may be useful for post procedure skin care to enhance results. They definitely look to be a promising as part of an anti-aging skin care regimen, especially when used with other power house products such as retinoids, anti-oxidants and most importantly broad spectrum sun protection. 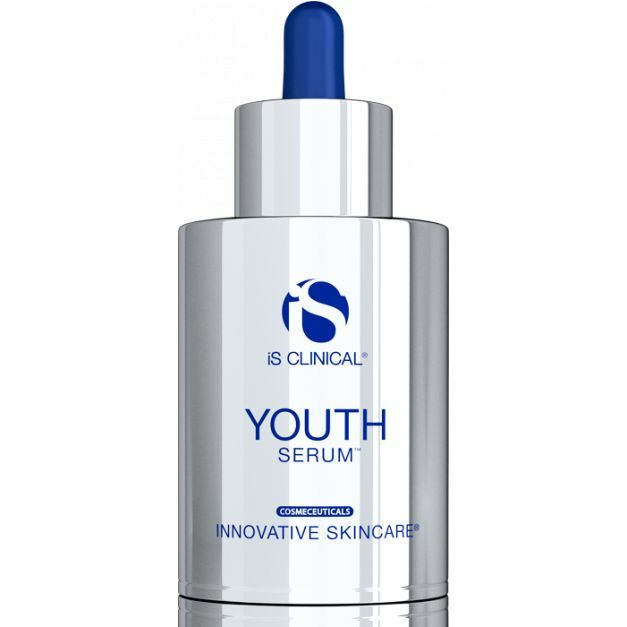 Innovative Skin Care has added Copper Tripeptide-1 to many of their iS Clinical line of skin care products, including the most recent “Youth Serum” which is quickly becoming an A-list favorite. 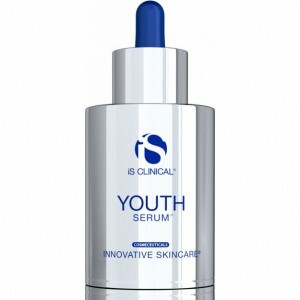 It is also found in Super Serum Advance +, Reparative Moisture Emulsion, Youth Intensive Cream, Youth Complex and Youth Eye Complex. Ultherapy has become a popular anti-aging treatment for those looking to tighten, lift and avoid the thin skin associated with aging. The common question with any aesthetic treatment is “how long the effects will last” and with Ultherapy, the answer is a long time. Ultherapy is the only device that is cleared for skin tightening and lifting. It uses focused ultrasound to precisely target and treat tissue at three levels, the Superficial Dermis, Deep Dermis and most importantly the SMAS which is at the top of the muscle, all while leaving the surrounding tissue intact. We are not able to treat all these areas with chemical peels, micro-needling or even other devices such as lasers or Radio Frequency. So basically…. this is as good as it gets with the exception of surgery. As we age the processes within the skin begin to slow, our skins fibroblast are more sluggish and we produce less hylauronic acid, elastin fibers become weak, we produce less collagen and our collagen becomes un-organized. This all results in lax skin that is less firm and thinning. Many of the treatments we use in aesthetics, benefit from the skins wound healing ability. By creating a wound healing response in the skin we stimulate the fibroblast to produce more collagen. The type and length of the wound healing benefits can vary, depending on how and where the “wound” was created. For example a scratch or something like microdermabrasion may only be 14 days of increased collagen production, an IPL / BBL treatment is about 3 weeks, and RF treatments around 6 months. Ultherapy leads to an inflammatory wound healing response which stimulates long-term tissue remodeling and leads to further lifting and tightening. Increases collagen production is seen in skin biopsies 12 months after treatment. Clinical tightening and lifting can be seen as early as 3-6 weeks,but the most appreciable results are seen at 3 months. The duration of response after a single treatment can be up to 2 years. The aging process is continues and regardless of which procedure you choose, maintenance is always necessary. The exact longevity of results with any treatment depends on your body’s ability to produce, maintain and breakdown collagen. The frequency of treatments will depend on age, health, lifestyle, condition of skin, other anti-aging measures taken and desired results. Although one year between treatments is most common, many opt for a second treatment as early as 6 months to boost results.Those who are younger may go as long as 2-3 years between treatments. Ultherapy works best as part of a comprehensive approach to aging, your skin care professional can work to customize a plan for your specific needs.